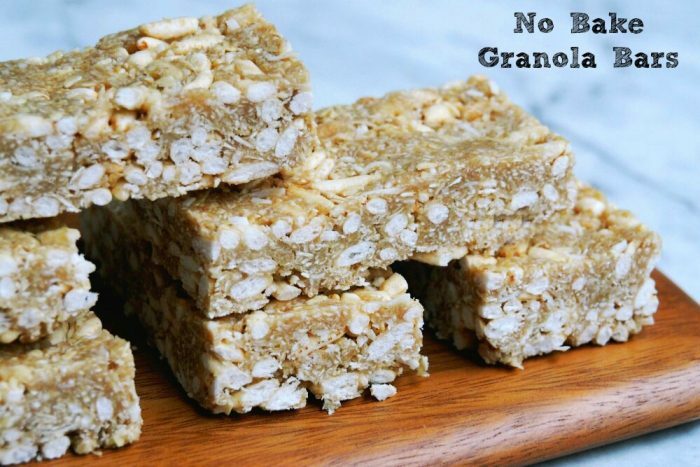 We love these no bake Granola bars of dairy-free deliciousness. 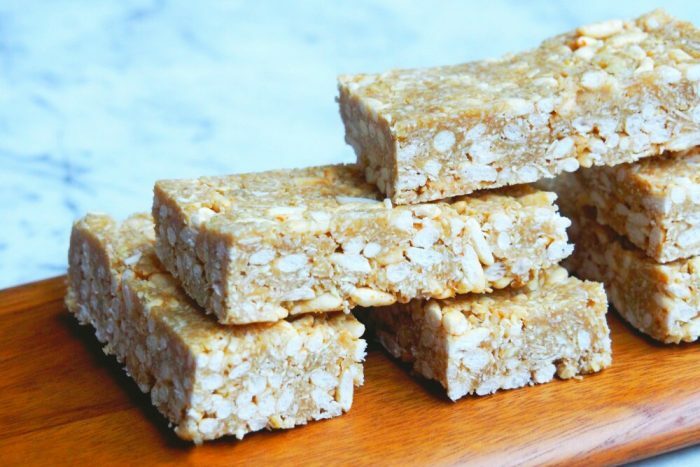 They are just like LCM bars, only they taste better and they’re better for you. They have proved to be very popular in these parts and I hope you love them as much as we do. 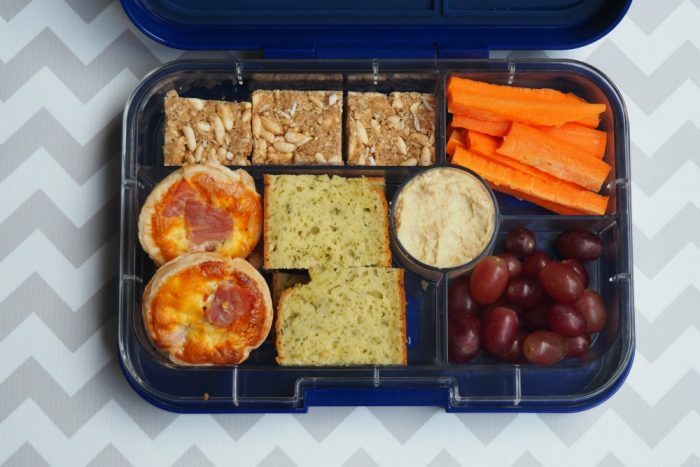 They make a great breakfast on-the-go and also go great in lunch boxes. Grease a 20cm x 20cm tin. Weigh the rolled oats into the TM and pulse on Turbo 2 or 3 times. Set aside and mix with the coconut and rice bubbles. Place the coconut oil, honey, sugar, vanilla and salt into the TM bowl and heat for 2 minutes at 90C on speed 2. 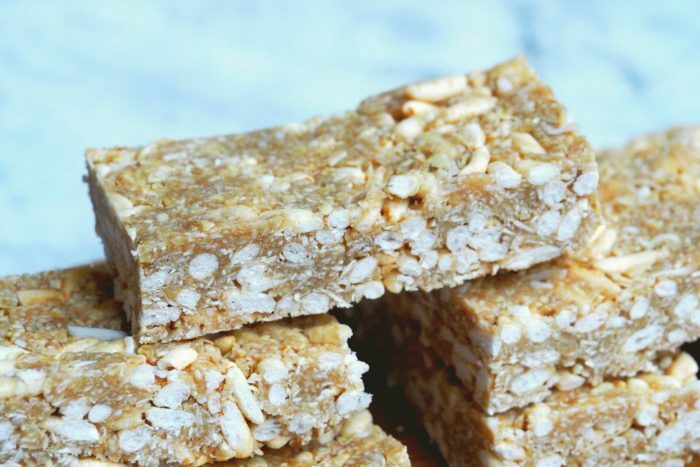 Add the oat mixture and mix for 20-30 seconds on reverse speed 3 using the spatula to assist. Transfer the mixture into the tin, using the back of a spoon to ensure it is packed firmly and evenly. Leave to set in the fridge for at least an hour. Cut into slices and enjoy! TIP! The bars will keep for up for a week in a sealed container.